My interest in the world of helping people was sparked off 30 years ago when I was 12. I had been bedridden for six months with a mystery illness for which conventional medicine had no answers. I was very weak, had bad headaches, was sensitive to light and sleeping badly. This worrying time took a turn for the better when a friend of my parents asked whether they would consider seeing a homeopathic doctor. They hadn’t considered it but out of desperation were willing to give it a try. Within three months I was 100% better and I’m happy to say I have never had a reoccurrence. What intrigued me was how the consultation worked. It wasn’t just about my symptoms; the process was formatted to find out about me as a person and the homeopathic doctor took time to understand me as an individual. How I was thinking and feeling was important and she looked at many factors that could be affecting my health and outlook. This recovery meant one thing: that I knew this was my job! Aged 20 I headed from my home in Devon to London to start my professional training. So what do I love about this job? I have seen hundreds of people over the last 20 years who have been helped when conventional medicine hasn’t offered any lasting solutions. I find that people commonly say, ‘I wish I’d found this earlier’. They love the fact that the medicines are safe, non-toxic and are non-addictive too. I like to try different things. My practice has evolved and changed hugely over the years. I started with a busy family practice, working with children and general day-to-day ailments, then moved on to working with executives, CEOs, entrepreneurs and artists. I have been called into small and big companies to help their team members who are about to get signed off sick or have burn-out. I worked for a media company in London for 18 months who asked me to work with 30 of their team to keep them well. If you love helping people get well this is a great job. You can choose an area that you love to work in: with kids, pregnant mums, within sports, families, corporate health, teenagers, mental health, injuries, chronic illness . . . or all the above. I have three young kids and a busy family life, so I can timetable my diary to suit. I go to a clinic, work from home, visit workplaces but I can also make sure I create the space go to sport days and spend time with the kids. Am I still a fan of conventional medicine? Absolutely. My son wouldn’t be here if it wasn’t for the wonderful option of conventional medicine and I am forever grateful for that. For me, what homeopathic medicine offers is a different approach, if you want to take it. I like that homeopathic medicines can be safely used alongside conventional medicine. By using carefully selected homeopathic medicines I’ve seen amazing things happen. This is what keeps you going as a practitioner as it’s so rewarding to see people get better again and start enjoying their life. As homeopathy is a holistic medicine, I have had the privilege of hearing thousands of stories about people's lives. What I realised was that behind many health complaints there was often stress or unhappiness lurking in the background. It’s wonderful to be able to help improve their mental and emotional states. This is the current interest area for me and has culminated in me writing a book on the subject (Happiness the inside job – the 7 ways to life-changing happiness). I wanted to create an accessible manual on how to feel good again. I have loved my career. If you love people, finding out what makes them tick and want to help people feel the best they can, with a safe and effective approach, then this is the job for you. For anyone setting out on their journey – good luck. Some say homeopathy is unbelievable. I agree, the results can be unbelievable! 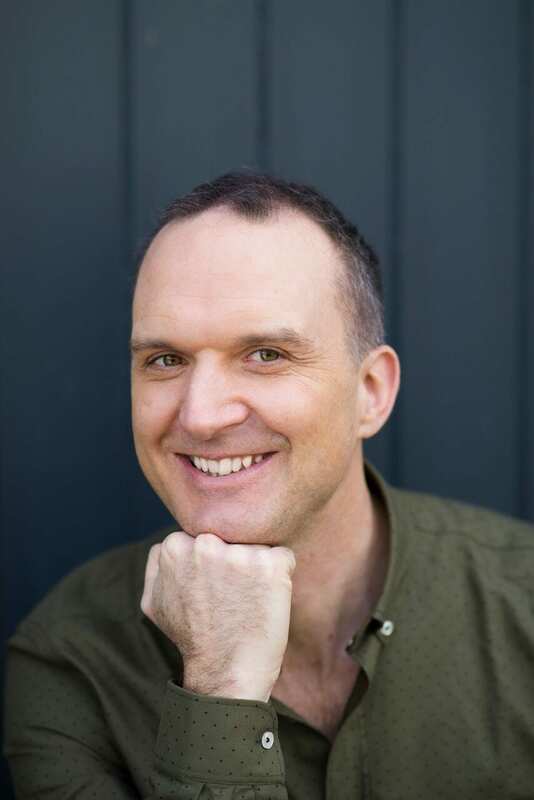 Matt Pepper is a practising homeopath, author and a lecturer on happiness and wellbeing. I have seen hundreds of people over the last 20 years who have been helped when conventional medicine hasn’t offered any lasting solutions. I find that people commonly say, ‘I wish I’d found this earlier’. They love the fact that the medicines are safe, non-toxic and are non-addictive too. As homeopathy is a holistic medicine, I have had the privilege of hearing thousands of stories about people’s lives. What I realised was that behind many health complaints there was often stress or unhappiness lurking in the background. It’s wonderful to be able to help improve their mental and emotional states.